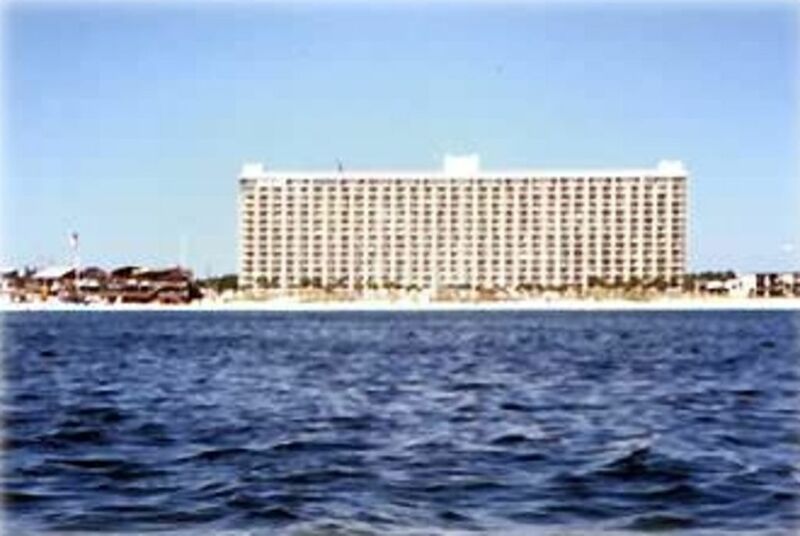 Beautifully redecorated and located directly on the Gulf, you will enjoy spectacular sunsets from your living room, kitchen, or private balcony. Kitchen equipped with microwave, electric coffee maker, toaster, and can opener with full range of dishes, utensils, pots, and pans. Color TV and VCR (or VP) in living room and another color TV in the bedroom. Vacuum cleaner and ironing board (no iron) are also provided for your convenience. King-size bed in bedroom, bunk beds in hall, and queen-size pull-out sofa in living room ensure ample sleeping space for up to six people (four during Spring Break). Contact private owner today for additional information. Primary occupant must be 21. A registration fee of $20 ($35 during spring break) is required at check-in by the Summit at which time parking permits & armbands will be issued. Additional built in lavatory and cabinet in alcove between bedroom and bathroom. Internet cafe located in lobby. Weekly Rentals - Sat to Sat only during summer months. Game room on ground level. Several golf courses are located nearby. Hot Tub or Jacuzzi, Private balcony, Two large pools, Two baby pools, Tennis court, Snack bar, Internet cafe in lobby, pool room, game room, exercise room, Tiki bar, jet skiing & para-sailing available on beach, nearby golf courses, great dining close by, shopping, snorkling, deep sea fishing, and much, much more.